I'm serving up a few tasty treats for you today! The first specialty of the house is our new favorite way to have breakfast. Yes, that is pancake batter. Now. There is no need to silently nod to yourself in victorious gloating satisfaction because (hanging head)… you were right. 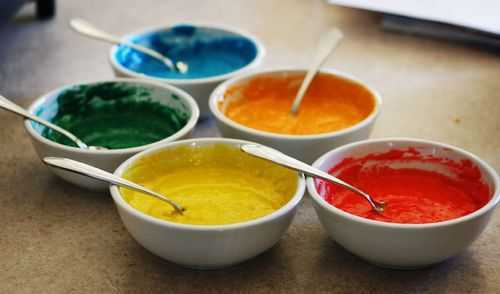 I am obsessed with food coloring. Food coloring and making my kids happy. Now that's one happy short stack. My kids have never eaten so many pancakes in one sitting before. They were loving it! 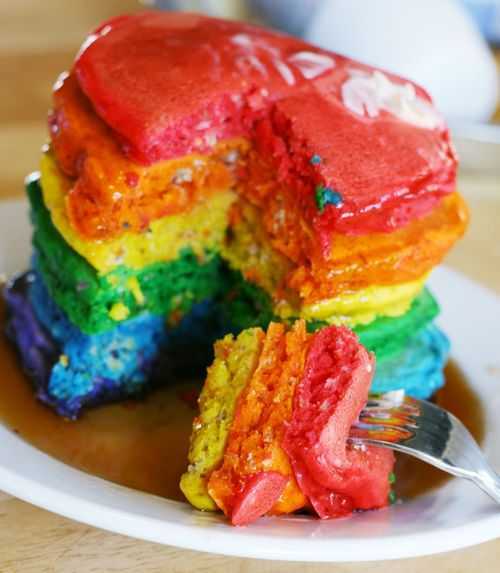 Seriously… if you want to start out your day with the most gloriously happy children, just try these yummy rainbow pancakes. I used a version of this recipe, and added food coloring, flax seed, and love. Sorry. I couldn't help myself. I am corny like that. *Do you want to see some more fun baked stuff? Check out i am baker! 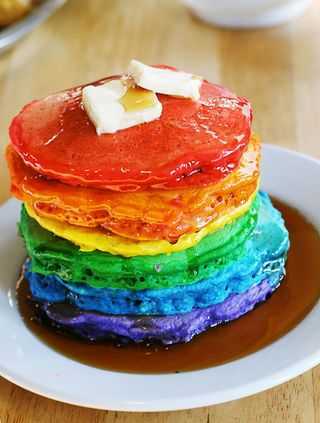 *Click here to see how I reply to Rainbow Pancake Haters. 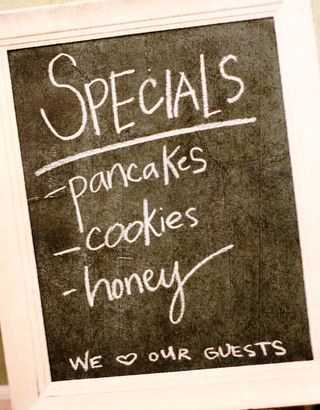 Well, in addition to serving pancakes to our very special guests today (thats you! ), I am also offering the specialty of the house. Because, if all goes well, they will magically help one exceptional blogger friend sell her house! 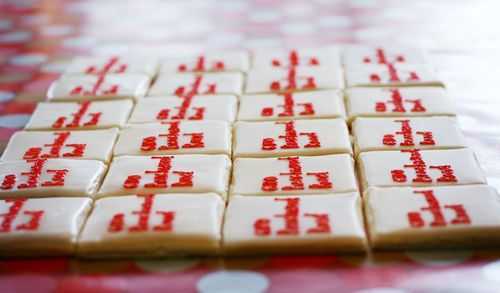 That's right… I made my very sweet friend Kami 'Open House' cookies! Each cookie has their address written on it. How smart is that?? Wish I had thought of it. 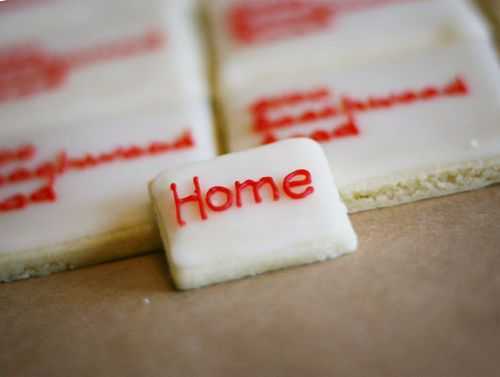 You can bet that everyone who goes to their open house will remember these address cookies! Did I mention what a great idea this is??? I think Kami might be on to something. And yes, our menu would not be complete without some sweet, sweet honey. As in the Winnie the Pooh variety. I recently visited the local thrift store… and had a blast finding a bunch of stuff that I didn't even know I needed! 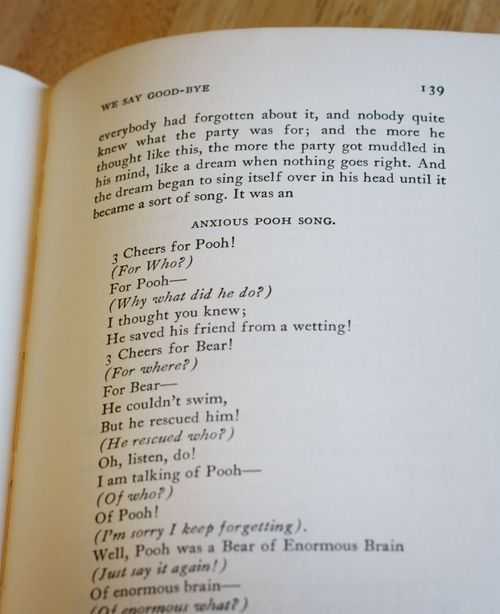 Have I told you I am obsessed with Classic Pooh? No? I'm surprised it doesn't come up in conversation more often. I came across this poor pitiful book that is in such terrible condition. It was first published in 1926. This copy is from 1957. Wonderfully colorful and detailed illustrations. 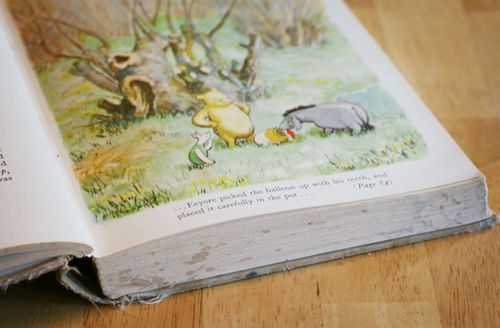 Sweet tales and songs that can keep even the most fidgety child interested. 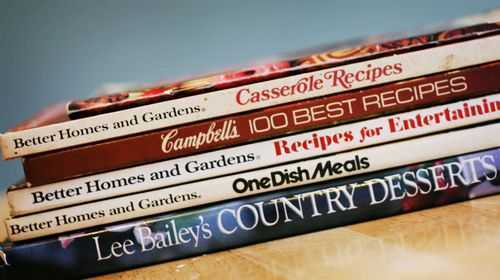 I even got some cookbooks! I think it was $4.50 for these. I might have bought the Country Desserts book just for this recipe. 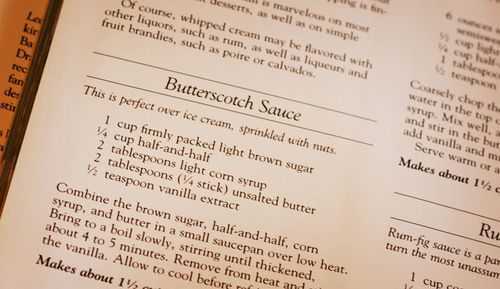 Butterscotch Sauce. Does it really need to go on anything? Isn't it sorta like a sweeter version of milk and should be consumed on a daily basis for its vitamins and nutrients? Yeah. I'm going with that. And to top off a wonderful shopping experience, I even got this gem for FOUR DOLLARS!!! Oh… not the baby. The bowl. Its huge! Perfect for big cakes and big orders of sugar cookies. If anyone else attempts one of the crazy recipes I put on my blog, be sure to let me know! I just may feature you!